It has been some time since I last recorded my thoughts and observations on this blog. This is primarily down to a significant change where, after careful thought, I transferred from the EdD to an MPhil/PhD route for my continuing studies (in consultation with my colleagues in the School of Education here at Staffordshire University). I thoroughly enjoyed the ‘EdD experience’ and it has certainly given me a firm foundation for my doctoral studies. The broad focus of my research hasn’t changed but, in discussion with my two supervisors, we identified a potential problem and I am now focussing much more of my reading on research which is concerned with ‘what aspects of learning’ can be objectively measured. I attended and presented on the Early Career Researcher day at the BERA Conference in September. It was a great opportunity to learn from more experienced researchers and to hear personal stories about the doctoral journey. I intend to write about this learning and how it has impacted on the way I am managing my studies in the next post. I was thrilled to have my first ever abstract accepted by BERA and the opportunity to present a small-scale research project at the (early career researcher) conference. This took place at the Institute of Education, in central London, from September 22nd until September 24th 2014. As this was the first time at BERA, I took advice from colleagues about how I might the best out of the conference. @drkatyvigurs recommended that I attend a number of parallel session presentations where the focus was clearly aligned to my professional role at Staffordshire University and to my principal research interests. Katy also reassured me that it was fine to select others sessions where presentations were from a far wider range of educational topics. I also found Pat Thomson’s (@ThomsonPat) blog very useful (http://patthomson.wordpress.com) as she discusses a number of important issues about ‘conferencing’. As one of many early career researchers, I received a warm and enthusiastic welcome and I was pleased to be able to present my paper to a small and very supportive audience. The paper, ‘Forms of Feedback: The interpretation and values placed on three distinct forms of feedback for MA Education‘ forms part of some on-going research that I am carrying out with Staffordshire University MA Education students. I was able to respond to the questions asked at the end of the presentation and also to share with the delegates some of the challenges that I face as a new researcher. I took the opportunity to attend the ‘Curriculum, Assessment and Pedagogy’ Special Interest Group and have now become a member of the SIG. It was also great to attend the presentations given by a number of my Staffordshire University colleagues. There was plenty of opportunity to meet academics during the course of the programme to learn about their work, to listen to some powerful and illuminating keynote presentation and also to relax and socialise at the end of the day. During the three days, I learned so much about educational research and it’s clear that academics are carrying out some incredibly important and interesting projects. I also learned quite a lot more about myself and this has given me more self-confidence to develop my academic skills and profile. If I had to choose one single ‘learning point’ then it would have to be this: Within the academic community, individuals are using the word pedagogy in a whole number of different ways and with different meanings. More thought needed, on my part, to get this one sorted out in my mind! What an interesting few months! I have thoroughly enjoyed the ‘EdD’ experience including the challenges and the opportunities to learn alongside fellow students. Then, something emerged quite unexpectedly. I was asked to consider a transition to move from the EdD Award route to a PhD pathway. It’s not my intention here to discuss the reasons that prompted this invitation nor my subsequent decision to agree a move to the PhD route. All I can say is that I gave it careful consideration, took advice from more experienced colleagues, and didn’t feel any pressure to do so. So, any future postings arise from a position where I am now embarking on a doctoral journey as a PhD student. God speed! (and, please let me learn from my experiences thus far!). Part of the assessment for the current EdD module (25%), ‘Theory in Educational Research’, was to submit and academic conference poster. The brief, as always, was very clear. The poster should… ‘clearly communicate a relevant educational professional issue or research question and its relationship to particular theories that might aid understanding or better conceptualisation of this issue or question’. I had struggled to identify a theory or group of theories that closely aligned to my research interest but a tutorial conversation with the module leader [Dr Katy Vigurs] encouraged me to reflect further on my overarching research questions. It transpired that, in effect, I was working from the wrong starting point and this was hindering my progress. In preparation for the poster, I was introduced to some examples and I took careful note of the posters that were on display at a recent joint ECR’s conference hosted by Glyndŵr University. At this event and through further reading and on-line exploration it appeared that individuals presented their posters in many different formats. Some were ‘graphic’ heavy whilst others had a definite accent on word/data content and they ranged from the informal to the more traditional in design. I was aiming to communicate my research interest and the application of theory for analytical purposes in a way that would make sense to an ‘intelligent alien’ [borrowing this term from a close colleague and fellow, more experienced, EdD student at Staffordshire University!]. I drew upon mainstream guidance on font choice, font size, colour choice, graphics and structural element to guide me as I constructed the mock-up. This, ultimately, became my blue-print for the final design. I would welcome any feedback (although I am not able to make changes on this occasion as it has already been submitted for assessment) as I found it an interesting but significant challenge. The whole process has definitely clarified my thinking as I move forward. One part of the current EdD module, ‘Policy and Professional Practice’, asks that we reflect and evaluate our own role in an area of policy making. From the time that I entered the classroom as a qualified teacher (1984), I was not only aware but often daunted by the sheer volume of policy documents within my school setting. Many of these were developed externally and formed statutory guidance for professional practice. Other sources included the examination boards and then came the county-wide policies which had been developed by the Local Education Authority. This, of course, was not all. A plethora of policies had been developed within school. These were wide in scope and filled two large lever-arch files. 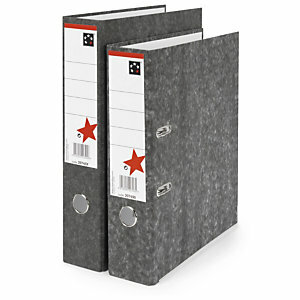 Colleagues were required to maintain individual up-to-date files as policies were reviewed and revised on an annual basis. The authorship of the policies varied although many had been developed by key members of the Senior Leadership Team. The more enlightened members of the SLT genuinely valued an element of collaboration when tasked with developing a new policy: Others didn’t and this led to the publication of a new policy that had not benefitted from a period of consultation. Thus they lacked the kind of broader ‘ownership’ that characterised the more effective operating policies (these were the policies that most members of staff could recall without resorting to the lever-arch file). I was fortunate to be promoted to Head of Department when, after four years working at a large comprehensive school in Chelmsford, I made the move to South Cheshire. I inherited a successful, if somewhat traditional, Music Department that was ready for review and revitalising. Taking a number of ‘whole-school’ policies, I was required to develop them so as to reflect department specific needs and aspirations. The summer holiday before taking up my post was largely taken with this task and, by the end of August, I had completed the job. Yes, two lever-arch files worth of files for a department of two full-time colleagues and a small group of visiting instrumental teachers. The policy documents looked smart, but had been largely devoid of any professional collaboration/consultation. Some were detailed to the point of absurdity thus ruling out any chance of easy recall for colleagues teaching in the department. I had a lot to learn! As one colleague frequently pointed out …”Russell’s policy on monitoring student engagement with extra-curricular activities is more complex than NASAs Space Shuttle Flight Manual”. That person was most probably right. As I grew professionally, I developed the confidence to simplify any policy revisions so as to give them a decent chance of being able to properly influence professional practice. More to come on this one….. In our current ‘Theory in Educational Research’ module, we are challenged to explore the ways in which theory is used and are reminded that educational research embeds itself in a wide variety of theoretical discourses. My initial reading (enjoying it… and having to read some papers and articles more than once!) suggests that the relationship between theory and practice is far from straightforward and it seems to be particularly important to unpick the concept of power in the context of educational theory. For homework, as a group, we were pointed towards a number of papers, including chapters from a range of texts and asked to critically appraise the pieces. 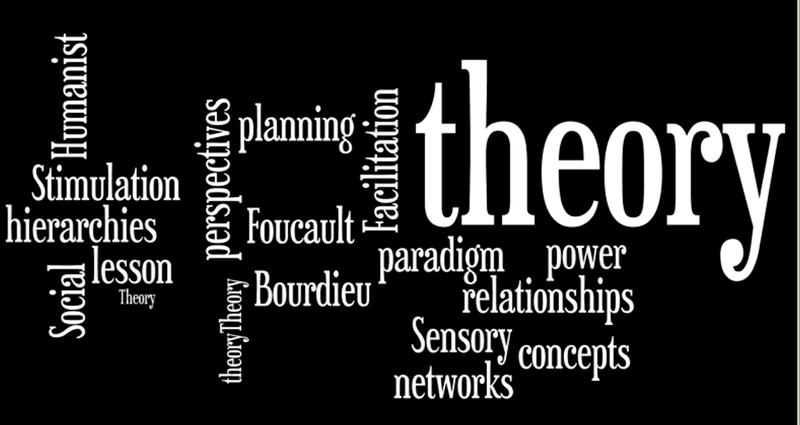 For me, this focussed on the work of Bourdieu and the task required me to articulate why some of Bourdieu’s concepts are relevant and useful to education researchers. This also included an exploration of any existing theoretical limitations in his work and how the concepts/theory might be useful in my proposed research. I am finding this something of a challenge. This is where I would welcome comments from any readers of the blog. My research interest is focussed on an examination of how a specific educational resource [Immersive learning environment] impacts on lesson-design and planning. At this moment in time, I am drawn to examining ‘Sensory Stimulation Theory’ (Laird, 1985) and also ‘Facilitation Theory’ including the work of Carl Rogers/humanist approach. (Reinhard,2013). Is this a sensible pathway to follow? Please do comment. Had a good day bringing together some of the activities that were set during the first ‘Policy Session’. It is clearly a massive and highly complex area for potential study and I know that I am only beginning to uncover some of the important issues, many of which I will need to revisit as my research continues and develops. I have struggled a little to find policy that is closely aligned to my principal research interest and it has taken quite some time to feel reasonably comfortable about this. I am looking forward to sharing ideas and listening to the views of my colleagues before I make any firm[ish!] decisions. At this time, I think that the most appropriate policies to focus on are those concerning the introduction (and frequent modifications/revisions) of the National Curriculum. One of the homework activities invited me to ‘write about your own position in relation to the chosen policy/policy area’. I started my first teaching post in September 1984. This was at Great Baddow School in Chelmsford. The school was a large comprehensive situated and serving a relatively affluent part of the city. The Music Department was exceptionally well led and an early challenge for me was to write the Schemes of Work for Key Stage 3. No ‘National Curriculum’, of course, and I had considerable freedom in designing the curriculum content and associated assessment activities. Over the following four years, I frequently modified the curriculum content. However, with the introduction of the National Curriculum this was about to change. The new ‘Programmes of Study’ (which came in a bright pink ring-binder, for Music) defined, in relatively precise terms, the new curriculum although there was some room for teachers to personalise the content to the needs of the school community. For the remaining time (19 years) that I worked in 11-18 school settings, frequent amendments were made to the National Curriculum and the changes were rapidly implemented. I was still required to write work-schemes but this was more straightforward owing to the highly prescriptive nature of the statutory guidance. It will be fascinated to see how schools develop distinct and unique curriculum offers as a result of recent changes in coalition government education policy. There are some very ‘big questions’ for senior leaders to ask as they redesign the curriculum for students in the light of local needs and aspirations.